Now You May Create and Control Your Sofa from a Smartphone! 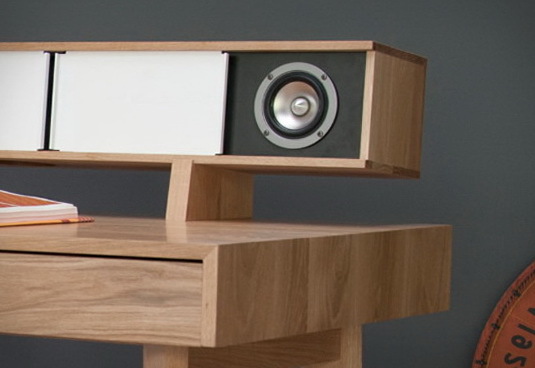 Symbol Audio is a New York company that designs and handcrafts modern audio HIFI consoles and vinyl LP storage cabinets. 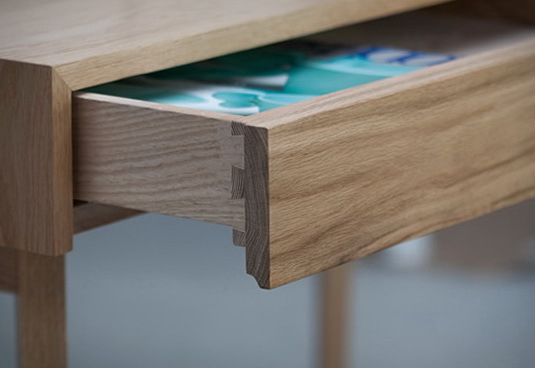 Their products are distinctive and made for the design and quality oriented consumer. 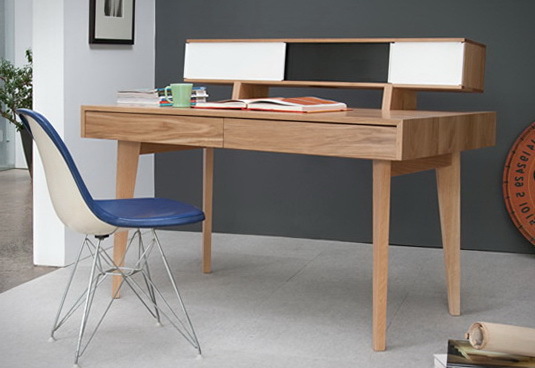 Example of their work is the cool Audio Desk, a modern writing desk that brings high quality audio into your workspace. 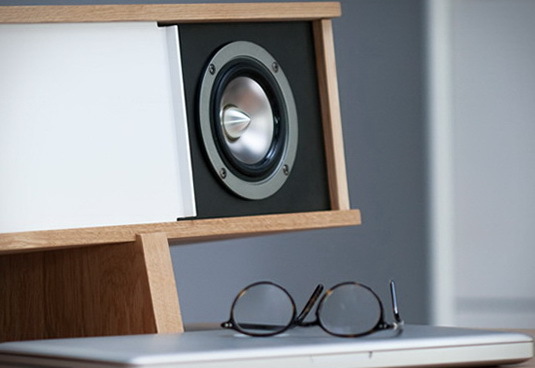 Slide open the cabinet doors to reveal two 4” high efficiency full range drivers, with titanium cones, they are paired with a 1/4” subwoofer. 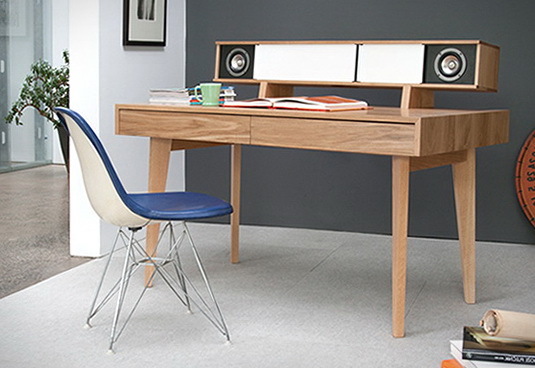 The speakers can be used with wireless streaming for a wire-free work surface.